As i was surfing i came across this so i thought of sharing this topic with you guys because, i know its going to help alot of people especially newbie. There lot of android terms right? But i will be giving you some very important and needful ones now,then later i will come up with some other great one's too. Kernel: The kernel is a layer of code that allows the interfacing of the OS and applications to your phone’s hardware. The degree to which you can access your phone’s hardware features depends on the quality of code in the kernel.So in a simple way kernel are the intermidiary between your hardware and software. launchers, other custom ones are available in the Google Play Store. Mod: The act of modifying a piece of hardware or software or anything else for that matter, to perform a function not originally conceived or intended by the designer. Nandroid: Nandroid is used to backup or restore backups from Recovery.Nandroid backup involves backing up the entire rom including, all installed applications and their data. This is a very good practice especially for people who flash roms regularly,So that when you restore the backup it will restore your previous rom and the installed app+data as though nothing happend. Nightly: A build that is performed at the end of each day of development. They can contain bugs. packages expose OpenGL ES functionality. Overclock: Increasing the speed of a CPU. It usually gives improved performance and faster performace.Overclocking can only be done if the kernel on your device supports overclocking. Overclocking can also affect you battery life as faster cpu means more demand in battey life. Partition: The phone’s internal memory the SD card) is solid-state (flash) memory, a.k.a NAND. It can be partitioned much like a normal hard drive can be partitioned. The bootloader exists in its own partition. Recovery: This is another partition and its main duty is to perform administrative task like, factory reset and wiping data and cache. You can also use a custom recovery which add additional functionality to the recovery like backup and restore,install zip and custom roms. memory chips, typically of the dynamic RAM (DRAM) type, which function as the computer’s primary workspace. The “random” in RAM means that the contents of each byte of storage in the chip can be directly accessed without regard to the bytes before or after it. Root: The first level of a folder. SBC: The ability to charge your battery beyond the default safety limit. The concept is similar to overclocking a processor: you’re overriding the safety limits established to achieve additional performance. The benefit here is that you may gain more use of your battery per charge. The drawback is that you can damage the battery and significantly reduce its longevity. Some kernels claim they are using a safe technique to prevent battery damage. Just be aware of the potential risks. Sideloading: It means installing applications without using the official Android Market. Splash Screen: A splash screen is an image that appears while android is loading. Splash screens cover the entire screen or simply a rectangle near the center of the screen. without any modifications made to it except for any device-specific support required to run it on the particular device. Tethering: Means sharing the Internet connection of an Internet-capable mobile phone with other devices. This can be done via Bluetooth, USB connection, WiFi Hotspot. Underclocking: Reducing the speed of your CPU. Undervolting: Undervolting means taking some of the voltage from the CPU which in return for a longer battery life and lower temperature during intensive use of the CPU. the way an Android application package (APK) is packaged. Execution time is minimized for zipaligned applications, resulting is lesser amount of RAM consumption. 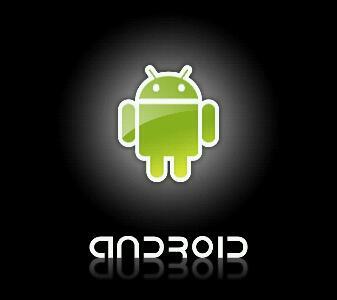 Compile: It translates (a android program) from a high-level language into another language, usually machine language. Decompile: To convert executable (ready-to- run) program code (sometimes called object code ) into some form of higher-level programming language so that it can be read by a human. With your device are odex,meaning there are some other part of that apk (application) somewhere else in the device,which will make it difficult to modify those apk because, there will confict among the modified apk and the other part that is somewhere else.Now deodexing means repacking all the apk into one dex file.Making it easier to modify without confict among them. Boot Animation: Boot animation is a term for a graphical representation of the boot process of the operating system. Bootanimation can be a simple visualization of the scrolling boot messages in the console, but it can also present graphics or some combinations of both. It does not add any functionality to your device it is just there to showing either the name of the manufature or displaying some other images just to entertain you while the phone boots. Bootloop: This is a process whereby your phone revolves round about displaying the bootanimation over and over again without booting to the main Os. When will we able to over clock..and swap............. our SGP??? how to partition Ram on galpock?? I think from cwm recovery ....:? When will we able to swap and overclock? ?